Etienne. “Bobby and Clyde”, Smashwords, 2015. I always look forward to a new book by Etienne and he never disappoints. This is something totally new as we are introduced to the characters of Bobby and Clyde and go back in time with them to the 1960’s. For those of us who were around then, it was a different time especially regarding the technological advances we have made since then. We used to have to wait for the mailman and phones were at home. Communication was totally different (and the milkman brought his products to us). It was a simpler time then but gay people were not out like they are today and neither did they have the threat of HIV/AIDS looming over them. Bobby and Clyde were the best of friends for sixteen years but then they were separated and each was on his own. Time passed and Bobby began to think of Clyde and wondered what ever happened to him; after all, Clyde was his first love. Through flashbacks to the ‘50’s we learn of the love they shared and that this love had been torn asunder (I love that word but seldom get to use it) by circumstances that neither boy could control. Bobby had never wanted to be torn from Clyde and he learned while visiting his parents home that Clyde had not disappeared but had left notes for Bobby in a secret place they both had shared. Bobby learns that Clyde did not want to be found but this made him all the more anxious to find him. What Bobby does not understand is the danger involved here and while I would love to share what this is with you, to do so would ruin a wonderful reading experience. What he discovers is not a fairy tale and could send both into danger. Now Bobby knows what he has to do— find Clyde and then hide him. For those who grew up and/or came out in the 60s, you know what I mean why I write about how different it was and I really do not think that any of us thought we would see the day when gay marriage would become a reality or even that we did not have to be afraid about who we are. I have long been a fan of Etienne’s writing and this book ranks right up there with the rest of them. 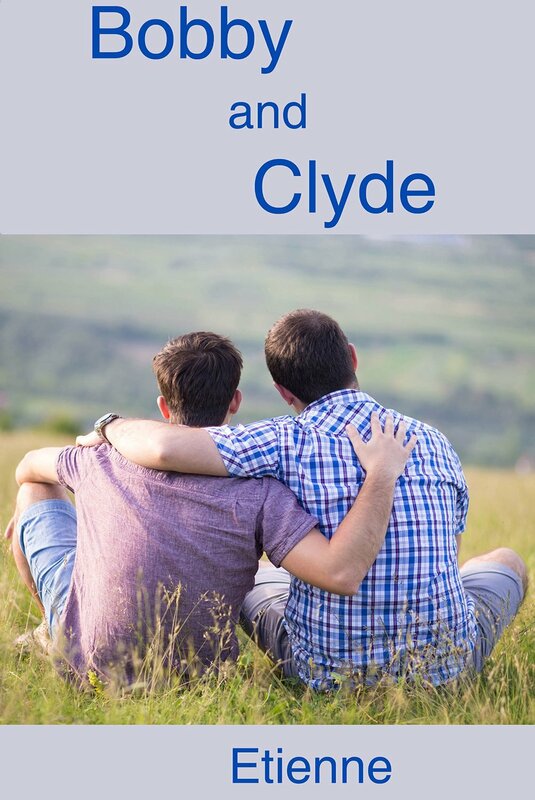 With Bobby and Clyde we have two characters that are easy to love and we find ourselves doing just that. For me they represent what so many of us want—they are just men who love each other but at a time when this was unacceptable. They had to find a way to live in a world that did not include them. This entry was posted in GLBT fiction on January 29, 2015 by Amos. Thanks, as always, for a great review.